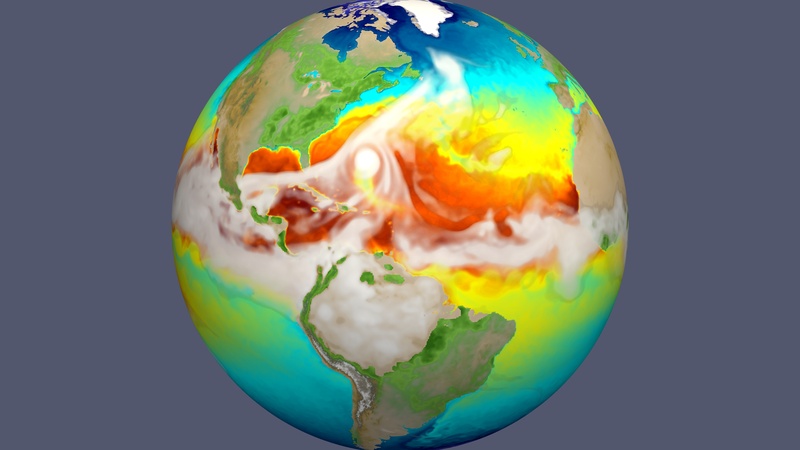 The high-resolution E3SM earth system model simulates the strongest storms with surface winds exceeding 150 mph — hurricanes that leave "cold wakes" that are 2 to 4 degrees Celsius cooler than their surroundings. This simulation shows how sea surface temperature changes evolve as a hurricane (seen here approaching the U.S. East Coast) moves across the Atlantic and how cold wakes affect subsequent intensification of the next hurricane. 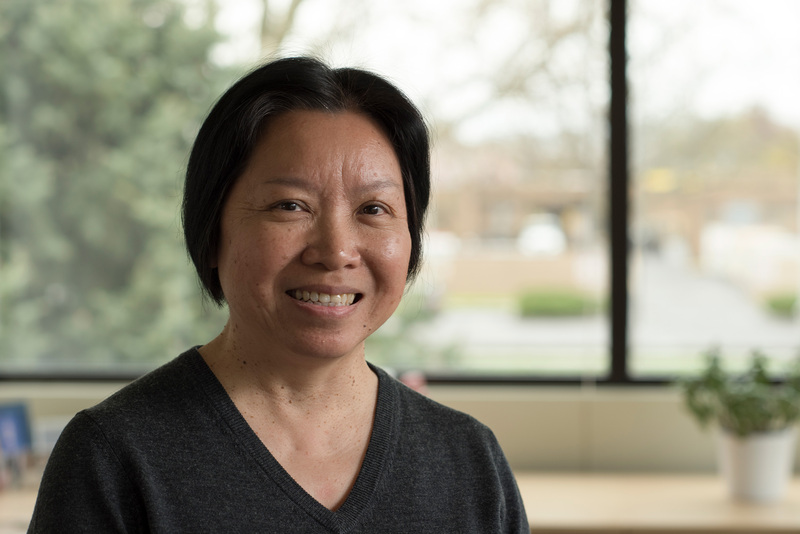 PNNL's Ruby Leung is the E3SM project's chief scientist. RICHLAND, Wash. — The U.S. Department of Energy today unveiled a powerful, new earth system model that uses the world's fastest computers so that scientists can better understand how earth system processes interact today and how they may evolve in the future. The Energy Exascale Earth System model, or E3SM, is the product of four years of development by top geophysical and computational scientists across DOE's laboratory complex. One of those labs is Pacific Northwest National Laboratory where Battelle Fellow L. Ruby Leung serves as the E3SM project's chief scientist. "The mechanisms of our planet are very complex," said Leung. "We want to represent how interactions of atmosphere, oceans, land, and ice govern the behavior of Earth as a system and predict future changes in water supply, extreme events, and coastal vulnerability. With this information, we can inform decisions to help strengthen the resilience of populations, our economy, energy resources, and national security." Phil Rasch, the lab's chief scientist for climate science and a co-lead of the E3SM atmosphere group, provided scientific and technical guidance on the development of E3SM's atmospheric model. He also coordinated atmospheric modeling tasks across the project. Kate Calvin, a research scientist and a co-lead of the E3SM land/energy group, led the development of E3SM's energy modeling component, which provides a unique capability to represent interactions between human and earth system processes. Susannah Burrows, an atmospheric scientist, led E3SM's coupled biogeochemistry simulation group. The E3SM project includes more than 100 scientists and software engineers at multiple DOE laboratories, as well as several universities. In addition to PNNL, the national laboratories include Argonne, Brookhaven, Lawrence Livermore, Lawrence Berkeley, Los Alamos, Oak Ridge, and Sandia. For more information, see the Lawrence Livermore National Laboratory news release.